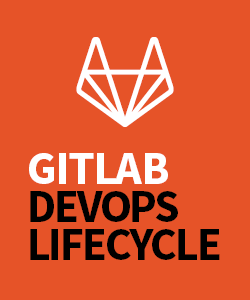 Wer in GitLab die CI/CD-Features nutzen möchte und nicht zufällig einen ungenutzten Kubernetes-Cluster übrig hat, mit dem man GitLab’s Auto DevOps Funktion einrichten kann, der benötigt zumindest einen GitLab Runner, um Build-Jobs und Tests zum Laufen zu bekommen. Der GitLab Runner ist eine zusätzliche Anwendung, welche sich ausschließlich darum kümmert, bei einer GitLab-CE/-EE Instanz die CI/CD-Aufträge abzuholen und diese abzuarbeiten. Der Runner muss dabei nicht zwingend auf dem selben System wie das GitLab installiert sein und kann somit auch extern auf einem anderen Host laufen. Der Hintergrund, weshalb man das auch so umsetzen sollte, ist eigentlich recht klar: ein GitLab Runner steht bei einer aktiven CI/CD-Pipeline oftmals unter hoher Last und würde er auf dem gleichen Host wie das GitLab selbst laufen, so könnte er dessen Performance stark beeinträchtigen. Deshalb macht es Sinn, den GitLab Runner z.B. auf eine VM in OpenStack auszulagern. In diesem Blogpost werde ich kurz darauf eingehen, wie man schnell und einfach eine GitLab Runner VM per CLI in OpenStack aufsetzen kann. Da ich den Runner als Docker-Container starten möchte, bietet sich CoreOS an. CoreOS kommt mit Docker vorinstalliert und es bietet die Möglichkeit per Ignition Config nach dem Start des Betriebssystems Container, oder auch andere Prozesse, automatisch starten zu lassen. Sobald man sich bei seinem OpenStack-Anbieter in sein Projekt eingeloggt hat, kann man sich dort unter “API Zugriff” die OpenStack-RC-Datei herunterladen. Damit kann man sich dann recht einfach per CLI bei OpenStack authentifizieren. Voraussetzung für die Nutzung der CLI ist, dass man bei sich den OpenStack Command-Line Client installiert hat. Dazu loggt man sich als Admin in sein GitLab-CE/-EE ein und navigiert zu “Admin Area” -> “Overview” -> “Runners”. Hier findet man den aktuellen Registration Token. Die Konfigurationsdatei für CoreOS nennt man z.B. config.ign. Diese legt man sich ebenfalls auf dem Rechner ab. Der Inhalt muss im nächsten Schritt geringfügig angepasst werden. "contents": "[Service]\nType=simple\nRestart=always\nRestartSec=10\nExecStartPre=/sbin/rngd -r /dev/urandom\nExecStart=/usr/bin/docker run --rm --name gitlab-runner -e 'GIT_SSL_NO_VERIFY=true' -v /home/core:/etc/gitlab-runner -v /var/run/docker.sock:/var/run/docker.sock gitlab/gitlab-runner:v11.8.0 \n\n[Install]\nWantedBy=multi-user.target"
"contents": "[Unit]\nRequires=gitlab-runner.service\n[Service]\nType=simple\nRestart=on-failure\nRestartSec=20\nExecStart=/usr/bin/docker exec gitlab-runner gitlab-runner register -n --env 'GIT_SSL_NO_VERIFY=true' --url https://$URL -r $TOKEN --description myOpenStackRunner--locked=false --executor docker --docker-volumes /var/run/docker.sock:/var/run/docker.sock --docker-image ruby:2.5 \n\n[Install]\nWantedBy=multi-user.target"
Beim Systemd-Unit “gitlab-runner-register.service” setzt man im Content bei den Variablen “$URL” den FQDN der eigenen GitLab-Instanz und bei “$TOKEN” den in Schritt 1 kopierten Registration Token ein. Außerdem kann man gleich noch seinen SSH-Key mitgeben, damit man später auch per SSH auf die VM zugreifen kann. Diesen hinterlegt man unter dem Abschnitt “passwd” im Platzhalter “$your-ssh-pub-key”. Nun kann man sich auch schon das Kommando zum anlegen der VM zusammenbauen. Man sollte außerdem sicherstellen, dass in dem Projekt ein CoreOS Image zur Verfügung steht. 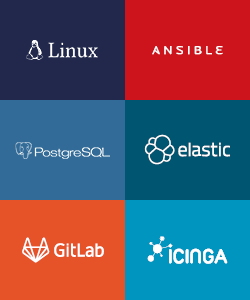 openstack server create --network 1826-openstack-7f8d2 --user-data config.ign --flavor s1.medium --image CoreOS_Live "GitLab Runner"
Network, Flavor und Image sollten aber individuell noch angepasst werden. Nach ca. zwei Minuten sollte dann der Runner auch schon zur Verfügung stehen. Überprüfen lässt sich das, indem man sich als Admin in seine GitLab-Instanz einloggt und im Bereich unter “Admin Area” -> “Overview” -> “Runners” nach einem Runner mit dem Namen “myOpenStackRunner” nachsieht. 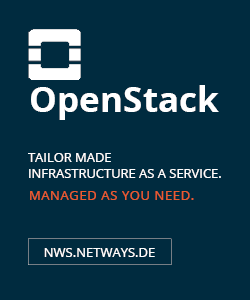 Wer noch auf der Suche nach einem OpenStack-Provider ist, der wird bei den NETWAYS Web Services fündig. Mit nur wenigen Clicks hat man sein eigenes OpenStack-Projekt und kann sofort loslegen. Nextcloud offers plenty of different useful apps. 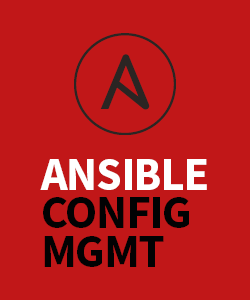 Many of them work straight away with no further configuration, but some of them require you to complete additional setup steps or even to have extra services running. One of them is Collabora Online. In this post I won’t go into detail about the setup steps and the problems you might experience. Instead I’ll show how well Collabora Online integrates into Nextcloud. So how do you get started if you have Nextcloud and Collabora up and running? First you need some additional users to share your files with. I would recommend to create some groups if you plan on sharing files with multiple users at once. Then add users to these groups. Create some folders for different purposes and share them with the groups. The folders will appear on the other users accounts as soon as they log in to Nextcloud or reload the page. So now you’ll be able to collaborate on editing the files located inside the shared folders. You can create new spreadsheet (.ods), text document (.odt) and presentation files (.odp) right from your Nextcloud or you can also upload and edit existing files in all kinds of different office file formats. In the following short video I documented the steps of sharing and collaborative editing. Another way of sharing files in groups is to enable the “Group folders” module in the Nextcloud Appstore and then create some folders from the Admin-Panel in the “Group folders” section. It simplifies the process of sharing folders in groups and you can even set quota limits for the shared folders. Something to note: if your Nextcloud is reachable from multiple domains and you want to use collaborative editing, then you and the person with whom you want to edit a document with should access Nextcloud from the same domain. If you try to use collaborative editing by accessing from different domains or sub-domains, it wont work, you won’t see the changes made by the other person inside the document in real-time. What if you want to collaborate with a person who has no user account on your Nextcloud? You can share files via link, set optionally an expiration date and a password and then start collaborating with anyone. Just provide them with the shared link (and password if set) and they will be able to use Collabora aswell. Collabora itself is based on LibreOffice and has a lot of features built-in that you may know from other office applications. 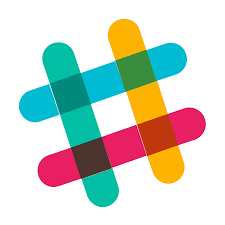 But there are some limitations in terms of concurrent open documents and simultaneous connections. In the free version CODE (Collabora Online Development Edition) it is limited to 10 documents and 20 connections at once. There is another online office suite that you can use with Nextcloud, it’s called Onlyoffice. For Nextcloud you would set up a Onlyoffice Document Server and then get the Onlyoffice App from the Nextcloud Appstore. In comparison to CODE it requires more hardware resources. At least 1 CPU core (with 2 GHz), 2 GB of RAM and 40 GB of disk space. Collabora on the other hand will be fine with 1 CPU Core, 512 MB of RAM and 1.5 GB disk space. 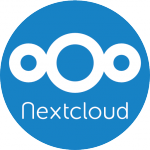 If you want to try it yourself you can quickly spin up a Nextcloud app using our Netways Web Services and test Nextcloud with Collabora Online for 30 days for free. We now include Collabora preconfigured in all our Nextcloud plans. With Nextcloud you can configure almost everything using the Webinterface. But you may do updates and configuration also via CLI. In this How To I’ll go over some common use-cases for the Nextcloud CLI. Let’s start with upgrading to the newest version. 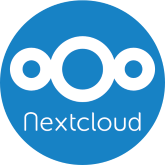 Go to the directory where your nextcloud is located – there should be a folder called ‘updater’. Inside the updater folder is a file called updater.phar. Confirm with ‘y’ to start the update. Info: Pressing Ctrl-C will finish the currently running step and then stops the updater. After the new files have been moved in place you’ll have to confirm to execute the “occ upgrade” command. And that’s it. But note: even if it tells you that a lot of apps are be updated, you may find that not all of your apps have been updated. Next we’ll explore the features of the occ command. You will get a long list of the available options and commands. I won’t be able to cover all of them in this post. But I’ll go over a view of them in the following. This is pretty useful if you forgot your admin password and you find yourself locked out of your Nextcloud. Sometimes you to increase the log level to figure out what is wrong. By default the log level is set to ‘warning’ (level 2). To get more information you’ll have to decrease the number. So 1 is level ‘info’ and 0 is for ‘debug’. You may also set it to ‘error’ which is level 3 to get less information. For server side encryption it’s necessary to enable the encryption app first. Note that only new uploaded files will be encrypted and not the existing ones. Continue with ‘y’. You may notify the users by mail about their private key passwords. But this only works if the users have provided their email-addresses. 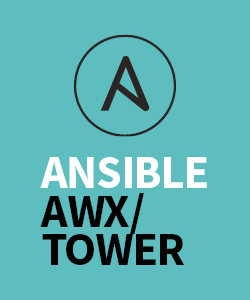 This module will encrypt all files in the users files folder initially. Already existing versions and files in the trash bin will not be encrypted. Usually the config file for Nextcloud is located in /var/www/nextcloud/config. So in order to change the configuration you may edit the file /var/www/nextcloud/config/config.php with a text editor. Like I mentioned before, there are many more commands and the ones I picked are just a view of them. But I hope they were useful at least for some of you. um diese Blogserie “Azubis erzählen” mal wieder aufzufrischen, werde ich hier ein wenig über meine bisherigen Aufgaben erzählen. 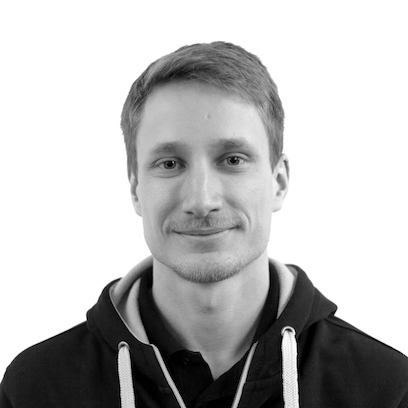 Zu mir: mein Name ist Gabriel Hartmann, ich bin 28 Jahre alt und seit September 2016 als Azubi (Junior Systems Engineer) bei NETWAYS. Bevor ich bei NETWAYS als Azubi anfing, habe ich an der FAU Erlangen ein paar Semester Informatik studiert. Nur mit großer Mühe hangelte ich mich von Semester zu Semester durch die Klausuren. Letztendlich konnte ich das Studium nicht abschließen und entschied mich daraufhin für eine Ausbildung. Mit dem Vorwissen aus dem Studium konnte ich alledings durchaus was anfangen. Sebastian – mein Ausbilder – entschied, dass ich die ersten Monate im Architecture Team verbringen würde. Während dieser Zeit lernte ich sehr viel, vorallem über das Thema Docker Container. Die ersten Wochen beschäftigte ich mich damit, die Programmiersprache Ruby zu lernen und machte mich mit den Ruby-Frameworks Rails und Sinatra vertraut. Danach arbeitete ich dann an dem NWS SaaS (Software as a Service) Projekt mit. Dabei lernte ich nach und nach, was es mit Microservices und Docker Containern auf sich hat, wie man damit interagiert und wie man eigene Docker Images erstellt und deren Setup automatisert. Im Prinzip ist die Technologie dahinter ähnlich zu der von Virtuellen Maschinen. Kurz gesagt, bieten Container eine einfache Möglichkeit Prozesse oder Programme abgeschottet vom Betriebssystem des Rechners, resourceschonend und plattformunabhängig zu betreiben. Viele Softwareunternehmen verwenden Container um bei der Entwicklung ihrer Softwareprodukte diese mit verschiedenen Konfigurationen und Betriebssystemen automatisiert zu testen. Aber auch in Produktion werden Container oft betrieben. Bei NWS laufen die Apps jeweils in einem eigenen Container. Um zu gewährleisten, dass die Apps auch dauerhaft laufen und online erreichbar sind, benötigt man eine Orchestrierungsumgebung für die Container, die sich darum kümmert, dass die Container automatisch neugestartet werden wenn sie ausfallen. Wenn das ganze noch hoch verfügbar in einem Rechenzentrum über mehrere Server verteilt laufen soll, dann benötigt man eine Art Kernel für Computer Cluster wie z.B. Mesos. Kurz gesagt kümmert sich Mesos darum, die Ressourcen (CPU, Arbeitsspeicher etc.) der zum Cluster gehörigen Server zu managen und an Frameworks anzubieten, damit diese ihre Tasks darauf laufen lassen können. Marathon ist ein Framework für Mesos, das dazu verwendet werden kann, um Docker Container dauerhaft aktiv zu halten. Wie das genau geht und welche Features Marathon bietet, darauf werde ich hier nicht weiter eingehen. Ich habe das alles auch erst nach ein paar Monaten im Detail kennen gelernt. Meine Aufgabe im Architecture war vorerst, neue Produkte wie z.B. 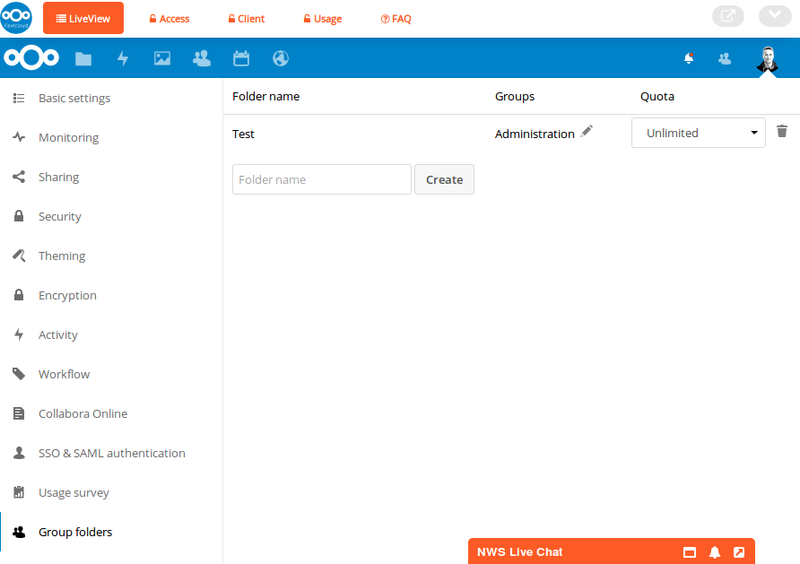 Rocket.Chat und Nextcloud als vorkonfigurierte Apps mit in die NWS Platform aufzunehmen. Die Prozedur dafür sah folgendermaßen aus: man schreibt ein Dockerfile, aus dem dann ein Image gebaut werden kann. Dieses benötigt ein Setupskript, das beim Start des Containers ausgeführt wird und den Container dahingehend vorbereitet, dass der Kunde sich nicht selbst um die Konfiguration kümmern muss. Außerdem wird darin definiert, welche Schritte bei der Aktualisierung auf eine neue Version der App ausgeführt werden sollen. Wenn das dann (endlich) funktioniert, wird die NWS Webseite angepasst, damit das Produkt von dort aus gestartet und mit Kundenspezifischen Daten konfiguriert werden kann. Verschiedene Microservices der SaaS Plattform müssen ebenfalls angepasst werden. Außerdem überlegt man sich Texte, die das Produkt beschreiben, bewerben und häufig aufkommende Fragen von Kunden beantworten. Danach schreibt man Tests, beseitigt Bugs und optimiert. Wenn dann die Produktpläne festehen und alles funktioniert, kann die App als Produkt angeboten werden. Das alles hat mir ziemlich viel Spaß gemacht. Mit der Zeit wird man auch schneller, wenn man mit der Prozedur und der Umgebung vertraut ist. Nach ca. 7 Monaten stellte ich mich dann einer neuen Herausforderung. Sebastian fragte mich, ob ich einen Workshop über das Thema “Docker Container Orchestration” anhand von Mesos Marathon halten möchte. Vermutlich etwas übereilt willigte ich ein. 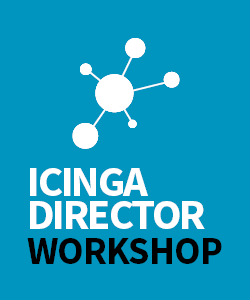 Als der Termin dann näher rückte, die Aufregung langsam stieg und ich mit der Ausarbeitung des Workshops beschäftigt war, wurde mir erst klar auf was ich mich da eingelassen hatte. Da es aber keinen Weg mehr zurück gab, hieß es Zähne zusammenbeissen und durch. 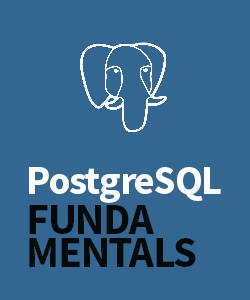 Sebastian und meine Kollegen Achim und Tim unterstützten mich jedoch gut dabei und nachdem dann die Slides und die Handouts fertig waren hielt ich den Workshop auf der OSDC 2017 in Berlin. Auch wenn nicht alles komplett reibungslos ablief hoffe ich, dass die Teilnehmer doch das ein oder andere dabei gelernt haben. Damit endete dann meine Zeit im Architecture Team und ich wechselte in die Hosting Support Abteilung. Seit nicht ganz zwei Wochen bin ich nun im Hosting Support. Hier geht es hauptsächlich darum sich um Kundenanfragen bzw. Tickets zu kümmern. Da ich im Bereich Hosting bisher wenig Erfahrung habe, mache ich mich nach und nach mit den Tools und den Arbeitsabläufen vertraut. Das ein oder andere Ticket konnte ich jedoch schon bearbeiten. Vorallem Kundenanfragen zum Thema NWS fallen in meinen Aufgabenbereich, da ich mich hier bereits ganz gut auskenne. 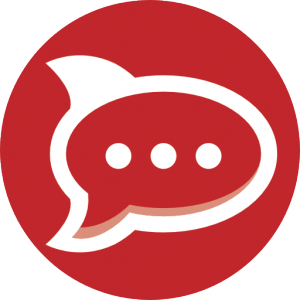 So bin ich auch im NWS Livechat als Ansprechpartner vertreten, das ist eine Art Helpdesk Chat auf der NWS Webseite der auf unserer NWS App Rocket.Chat basiert. Mit der wöchentlichen Serverwartung wurde ich auch schon vertraut gemacht. Dabei durchsucht man die Logs sämtlicher Kundenserver nach Fehlermeldungen und entscheidet ob für die jeweilig gefundenen Fehler Handlungsbedarf besteht oder nicht. Falls ja, eröffnet man Tickets und benachrichtigt gegebenefalls den Kunden darüber. Als Azubi besucht man bei NETWAYS natürlich auch die Berufsschule. Als Auszubildender Fachinformatiker für Systemintegration findet diese blockweise statt, was meiner Meinung nach auch Sinn macht, da man nicht täglich zwischen Schule und Betrieb wechseln muss. Nicole, die ebenfalls im September als Auszubildende Fachinformatikerin für Systemintegration bei NETWAYS angefangen hat, ist in der gleichen Klasse wie ich. Vom Studium ist mir einiges was an Stoff in der Berufsschule behandelt wird bereits bekannt und somit kam ich bisher ganz gut klar. Was mir hier besonders gut gefällt, ist das gute Arbeitsklima und dass man während der Arbeit stets nette und gutgelaunte Kollegen um sich hat. Getränke wie Kaffee, Säfte und Eistee sind kostenlos für alle verfügbar. Die Mitarbeiter organisieren untereinander LAN-Partys, die ab und an abends im Büro stattfinden. Außerdem finden jährlich Team Events der einzelnen Abteilungen und verschiedene Seminar-Wochenenden statt, bei denen der Spaß nicht zu kurz kommt und man die Möglichkeit hat, die anderen Kollegen besser kennenzulernen. Das Events Team von NETWAYS organisiert regelmäßig Konferenzen, wie z.B. die bereits erwähnte OSDC. Eine weitere Konferenz, an der ich letzten Jahr teilnehmen durfte, war die OSMC 2016 in Nürnberg, die sich mit dem Hauptgebiet von NETWAYS, dem Monitoring, beschäftigt. In den Talks der verschiedenen Konferenzen erfährt man viel über Open Source Themen und kann sich anschließend mit anderen Teilnehmern aus der ganzen Welt darüber austauschen. Alles in Allem bin ich sehr happy bei NETWAYS zu sein und bin gespannt was mich künftig noch so erwartet. Ich hoffe ich konnte euch einen kleinen Einblick in meine Tätigkeiten als Azubi geben.